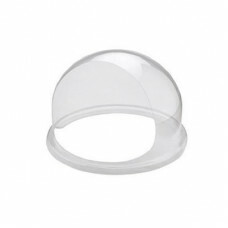 Centerstage Professional Cotton Candy Machine Dome The acrylic bubble is a must for all cotton candy machines. Limits access to your floss head preventing possible injuries giving access to a trained operator. Protects against any foreign object going in to the floss or floss head risking possible damage to your cotton candy maker. We highly recommend this option for your cotton candy and suggest every machine be operated with a floss bubble. More easy to use and prevent any dust inside and or injuries.